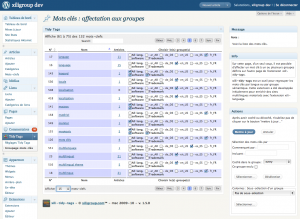 As announced by intermediate releases, the trilogy for multilingual website (cms and multisite), – xili-language(1.8.4) – xili-tidy-tags(1.5.0) – xili-dictionary(1.3.0) – is shipped. For xili-language, the main improvement is wildcard * to display posts without languages and more features for nav menus and widgets. Next days, if time, the docs will be updated as in readme (visible in wp plugins repository) of each package. For support or comment, prefer use forum and don’t forget to donate (button on left or ask services (reasonable fees) for commercial site. 1 réponse à xili-language trilogy : new versions shipped !